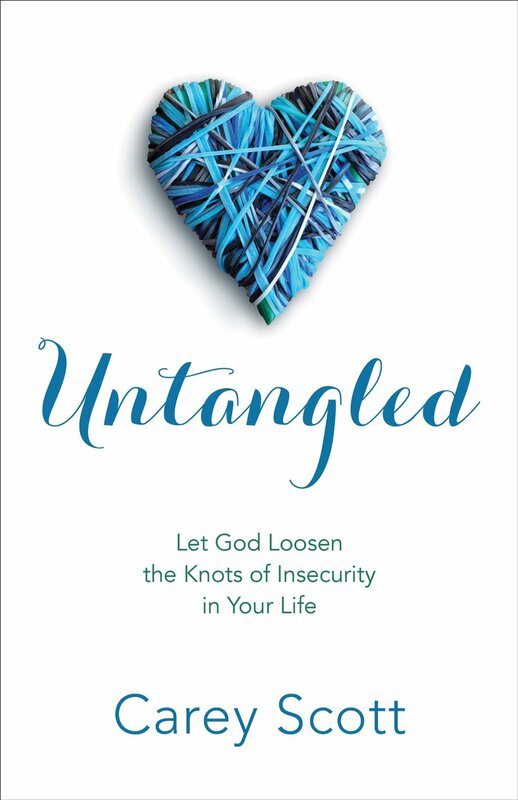 Disclosure: I received Untangled: Let God Loosen the Knots of Insecurity in Your Life by Carey Scott complimentary from Revell. Provided I give an honest review. Hello Loverlies! Have you ever felt so tangled up in insecurity that you didn't know how to untangle yourself? Well that's what untangled by Carey Scott is about. She talks about the different sections in her life where she was tangled up. She then goes on explaining how she allowed God to help her slowly untangle those knots. I have to admit that I didn't love this book, I only liked it. It does have some great information on how she overcomes the certain tangles of her life. Maybe I wasn't as in love with it because she talks about her insecurities with raising her children. I do not have children, so it makes it hard to relate with her. I think if I wait a few years and reread it when I have children, then it will be more helpful. The author not only discusses insecurities with raising children, but also insecurities with her busy work life. Again this makes it hard to relate, for I am not able to work because of my anxiety. although it was harder for me to feel as if this book reached out to me, she does share some good insight in this book. If you feel this is what you are needing then give it a try. I know I will give it a second chance. You can purchase this book on AMAZON. Have a Blessed Day! All women want to feel is valued. But problems arise when we seek confirmation that we are "enough "using the world's standards. Almost from birth, we are trained to find the approval and acceptance we crave in the eyes of family, friends, and even strangers. The result is that we cannot believe we are who God says we are--accepted, loved, beautiful, and treasured. We get tangled up in the world's assessment and our own self-judgment. With hope-filled writing and plenty of hard-won personal advice, Carey Scott shows women how to untangle their self-esteem from the world and anchor it in Jesus. She lovingly shows readers that God was intentional in how he made them and that he is well pleased with his work. Women will learn practical strategies to escape unattainable standards and the performance-based measuring stick of the world, and find comfort in the fact that they are not alone on the journey. I found the picture from her website HERE. About The Author: Carey Scott is an author, speaker, and certified Bible life coach who challenges women to be real--not perfect--even when real is messy. She speaks to women's groups and writes an online devotional designed to help women be who God created them to be. She lives in Colorado with her husband and their two children.